Platinum-selling R&B singer, Keith Sweat kicks-off his limited engagement in the Donny & Marie Showroom at Flamingo Las Vegas with a unique Vegas show, “Keith Sweat: Last Forever,” on Tuesday, January 17th through February 4, 2017. 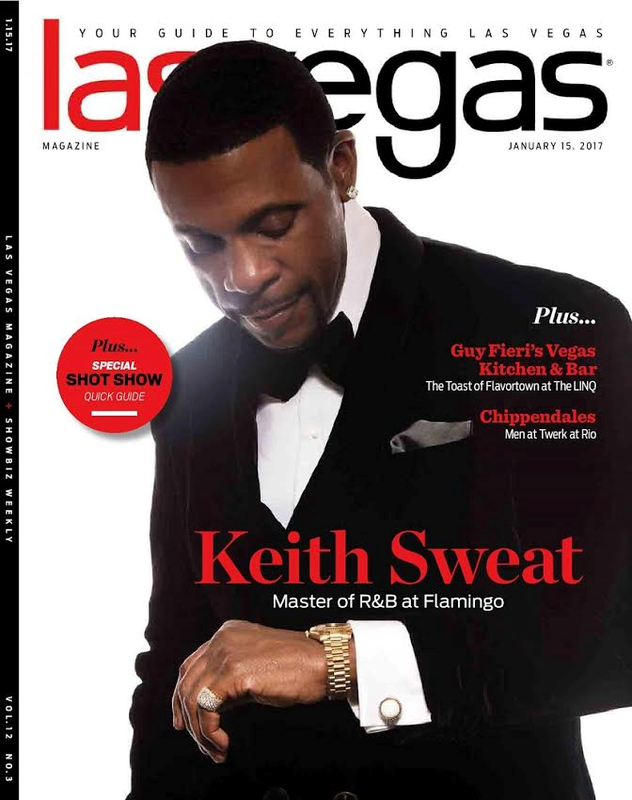 The city of Las Vegas is ready to welcome the King of The New Jack Sound with open arms as Keith graces the cover of next week's issue of LAS VEGAS Magazine. 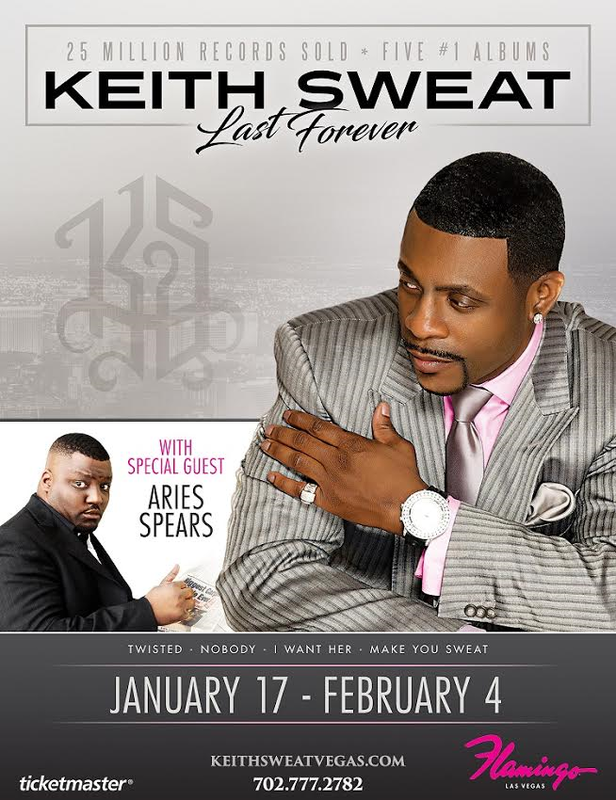 In celebration of the 30th anniversary of Keith’s triple-platinum album, “Make It Last Forever,” fans can anticipate to hear a variety of his notable hits including “I Want Her,” “Twisted” and “Nobody.” Joining the famed singer-songwriter on the Las Vegas stage will be stand-up comedian and long-serving MADtv cast member, Aries Spears. Born in Harlem, New York, Keith Sweat originally worked for the commodities market at the New York Stock Exchange before he was discovered singing at a nightclub in 1987. In November of the same year, he released his first album, "Make It Last Forever," which sold more than three million copies. Since then, Sweat's music career has spanned nearly 30 years and includes numerous hit singles. The legendary R&B icon has released 11 albums, delivered five straight #1 albums and has sold more than 25 million records while also taking on the role of music producer, songwriter and radio host. 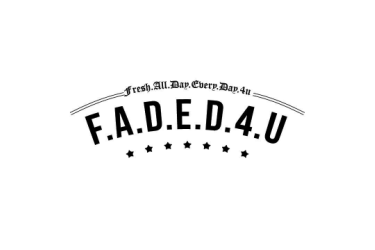 Ever since New York native Aries Spears was 14 years old, he has been a force to be reckoned with in the comedy scene throughout America. His quick wit, charisma and ferociously aggressive style of comedy have earned him critical acclaim and high accolades. From being a regular on MADtv, starring in feature films, appearing on a number of national talk shows and continually touring the country with his stand-up, Aries’s talents have become recognized and appreciated throughout the entertainment industry. Located in the heart of the Las Vegas Strip, Flamingo Las Vegas is a true desert oasis. The center-Strip resort features more than 3,500 guest rooms and suites, including the FAB rooms and the award-winning Flamingo GO Rooms and Mini Suites. Celebrating its 70th anniversary at the end of 2016, the historic hotel-casino is home to a sprawling 15-acre pool and wildlife habitat complete with waterfalls, mature island vegetation and tropical wildlife, three distinctive pools including the adult GO Pool, and several outdoor wedding gardens. Flamingo Las Vegas offers a wide variety of dining options with eateries such as Jimmy Buffett’s Margaritaville, Center Cut Steakhouse and Mexican hot spot Carlos ’n Charlie’s. The resort also hosts an all-star line-up of entertainers including brother-sister duo Donny & Marie, internationally-renowned singer-actress Olivia Newton-John, Jeff Civillico, Legends in Concert, Piff The Magic Dragon and the late night adult revue X Burlesque. For more information, please visit flamingolasvegas.com or the Caesars Entertainment Las Vegas media room. Find Flamingo Las Vegas on Facebook and follow on Twitter and Instagram.